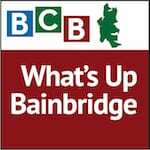 In this episode of What’s Up Bainbridge, BCB host Sonia Scaer interviews Reed Price, the communications director and past president of Bainbridge Island / North Kitsap Interfaith Council. The subject is the upcoming Compassion Games event from September 11th to 21st. 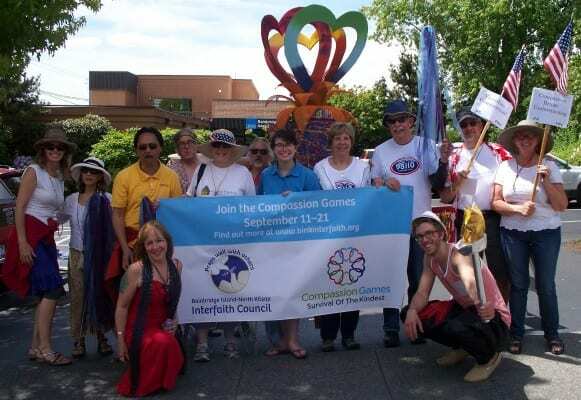 Our local Interfaith Council is an association of many different faith groups in the Bainbridge Island / North Kitsap area, sharing, respecting and celebrating different religious traditions and seeking common, faith-based ground to work together for the good of our community and beyond. The Compassion Games are a worldwide celebration aimed at turning the Golden Rule into the Golden Reality. The annual event, which is practiced in countries around the world, celebrates ongoing compassionate activities and is intended to inspire more everyday instances of caring activities. It’s called a “coopetition” – part competition, mostly cooperation – because helping each other is the best way to win! During the event. participants might engage in activities such as performing a Random Act of Kindness or become a “Secret Agent of Compassion” and receive a secret mission for each of the eleven days of the event. 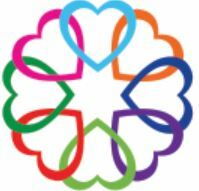 The Compassion Games are motivated by the same spirit as the Charter for Compassion, which was founded by UK religious scholar Karen Armstrong to encourage cities, schools, communities and faith organizations to restore compassionate thinking and action to religious, moral and political life. Here in Bainbridge, the closing ceremonies for the 11-day Compassion Games will be held at the Waterfront Park in downtown Winslow on Sunday, September 21st at 5pm. There will be music, fun and awards!